Cancellation policy: At least 3 day advance notice before the arrival date is required for cancellation free of charge. ** FullMoon Cancellation policy : At least 7 day advance notice before the arrival date is required for cancellation free of charge. ** New year Cancellation policy: At least 20 day advance notice before the arrival date is required for cancellation free of charge. ** New year Booking much be pay upfront by Paypal!! 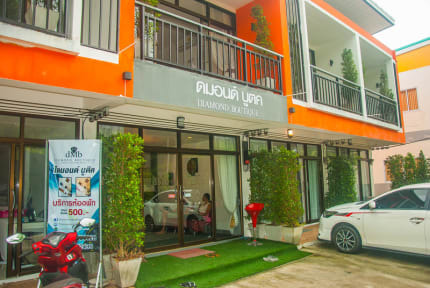 Phangan Diamond House is located in Thong Sala, Koh Phangan and is a popular choice for al types of travelers. From here, guests can enjoy easy access to all that the lively city has to offer. With its convenient location, the hotel offers easy access to the city's must-see destinations. 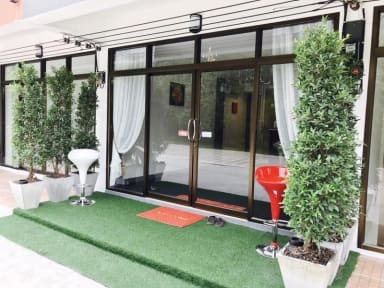 PHANGAN DIAMOND HOUSE is a good accommodation choice for the trip in Koh Phangan, conveniently located in Baantai , It is a-5 minute drive from Thongsala Pier and The popular Nice View point and a 15-minute drive from Haad Rin, where the full moon party is held.